4.5" x 4.5" stitched on 14 count. 3.5" x 3.5" stitched on 18 count. 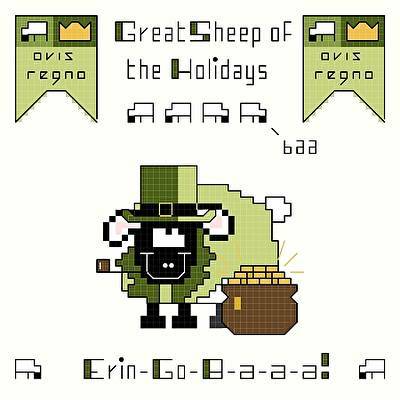 Erin-Go-B-a-a-a cross stitch pattern... Sheep are the unsung heroes of history, literature, and culture in general. This Irish sheep is wishing you a happy St. Patrick's Day!